Learning Concepts — Basic Premise of Social Constructivist. The concepts that we have studied around learning for children can be applied to adults as well. There isn’t some date or time that cognitive psychology just short circuits and expires. As a KM practitioner and consultant I am finding that simple is more effective than complex and that lessons learned from education applies directly to Knowledge Management and education in business. What is Social Constructivist Learning? Vygotsky’s ZPD emphasizes his belief that learning is, fundamentally, a socially mediated activity. Thinking and problem-solving skills can, according to Vygotsky, be placed in three categories. some can be performed independently by the child. Others cannot be performed even with help. Between these two extremes are skills the child can perform with help from others. those skills are in the ZPD. If a child uses these cognitive processes with help of others, such as teachers, parents, and fellow students, they will develop skills that can be independently practices. As Vygotsky (1987) puts it, ” What the child is able to do in collaboration today he will be able to do independently tomorrow.” Whereas an extreme interpretation of Piaget can lead to the conclusion that teachers teach best who get out of the way and let a naturally unfolding development take its course, Vygotsky’s theory requires an involved teacher who is an active participant, and guide, for student. Vygotsky’s concepts assert that children develop best in social or group settings, the use of technology to connect students would be an appropriate practical application of these concepts. There are four principles are applied in any Vygotskian classroom. 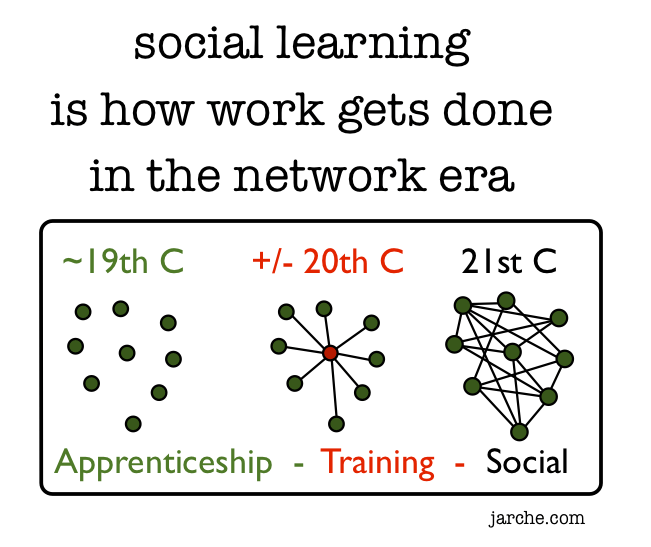 Learning and development is a social, collaborative activity. The Zone of Proximal Development can serve as a guide for curricular and lesson planning. School learning should occur in a meaningful context and not be separated from learning and knowledge children develop in the “real world”. Out-of-school experiences should be related to the child’s school experience. How does this translate to adults in business ? A KM facilitator or Community Manager (CM) acts essentially as an enabler for employees as performers and subject matter experts. The information and knowledge management activities are centered through collaboration and connectivity of information in context. The CM can create activity based toolkits that experts and activity performers can leverage as part of a collaborative approach. Reading and Writing Workshops: This approach teaches students reading and language arts from a student-centric or student-centered process that gives students as individual performers and groups a great deal of responsibility on making decisions pertaining to what they will study and the reasoning behind it. This approach emphasizes the collaborative and social aspects and nature of learning. Collaboration activities that occur in the workshop are facilitated and conference driven workflows that include classroom and non-classroom based activities. Students will create ideas, drafts and written products through explicit exchanges with peer groups, teachers, parents and other relevant members of the student’s social network. The collaboration activities are “for purpose” and have a meaningful outcome for students to aspire to as opposed to providing a summary of a teacher lesson and/or reiterating a teachers personal perspective or interpretation. The function of a group discussion in both small groups and larger whole-class groups creates a feedback loop that informs both students and teachers. In the case of this collaborative construct everyone has an opportunity for shared learning and communication. Teachers who have the ability to take on active learning roles can inform and teach students how to listen, write, speak, read and effectively communicate. Teachers actively teach students how to learn and think about information and further convert this information into knowledge that can be actualized. This pragmatic approach can prepare students for education from a learning engagement perspective, social perspective and practical implementation perspective. While these concepts are the basis for teaching children, they apply to adults almost across the board. Acceptance of learners. This means, in part, that all learners are accepted regardless of their cultural or socio-economic background or other characteristics or labels. But in whole language classrooms, “acceptance of learners” also means that whole language teachers develop the classroom environment and the curriculum for and with the students, to meet their needs and engage them in learning about what interests them, as well as to cover essentials from the curriculum guidelines. Flexibility within structure. Instead of having children do one brief activity or worksheet after another, whole language teachers organize the day in larger blocks of time, so that children can engage in meaningful pursuits. Thus they engage in fewer different tasks, but larger and more satisfying projects. They may have a readers’ and writers’ workshop, for instance, when the children read books and perhaps use them as models for their own writing. They may study a theme or topic at least part of the day for several days or weeks, using oral and written language and research skills to pursue learning in the realm of social studies and/or science and math, and using language and the arts to demonstrate and share what they have learned. Together and individually, the students have many choices as to what they will do and learn, which enables them to take significant responsibility for their learning. However, the teacher guides, supports, and structures the children’s learning as needed. Flexibility within the larger time blocks offers the time that learners need (especially the less proficient) in order to accomplish something meaningful and significant. Supportive classroom community. Many whole language teachers help children develop skills for interacting with each other, solving interpersonal conflicts and problems, supporting one another in learning, and taking substantial responsibility for their own behavior and learning. Expectations for success as they engage in “real” reading, writing, and learning. Kids aren’t kept doing “readiness” activities, in preparation for later reading and writing; rather, they are given the support they need to read and write whole texts from the very beginning. Whole language teachers have discovered that virtually all children can learn to read and write whole texts. This is true also of children who have heretofore been sent to resource rooms because they had difficulty with skills work. Indeed, reading whole texts is often easier for these children than doing the skills work. Skills taught in context. Instead of being taught in isolation, skills are taught through mini-lessons and conferences, in the context of students’ reading, writing, and learning. For example: phonics is taught mainly through discussion and activities deriving from texts the children have read and reread with the teacher, and through writing the sounds they hear in words. Spelling is mainly taught when children are editing their writing, and grammar is mainly taught as the teacher helps children revise and edit what they’ve written. Skills like using the index of a book are taught when students need to locate information on a topic they want to research, while using the yellow pages of a phone book is taught when children need to locate resources within the community. In short, skills are taught while students are engaged in real-life tasks. Teacher support for learning: scaffolding and collaboration. Teachers provide “scaffolding” for learning in many ways. For instance, primary grade teachers read Big Books and charts to and with children again and again, enabling the children to read whole texts before they can read independently. Whole language teachers help children write the sounds they hear in words, thus enabling the children to communicate through writing. They collaborate with children in carrying out research projects and, in the process, they model and explain how to do things that the children could not yet do alone. By collaborating on projects, children provide similar support for each other. Contextualized assessment that emphasizes individuals’ growth as well as their accomplishments. Assessment is based primarily upon what children are doing from day to day as they read, write, do math and science, research topics of interest, and express their learning in various ways. Comprehensive, “portfolio” assessment will include data not only on the products of children’s efforts, but on their learning processes. Whole language teachers commonly involve children in assessing their own work and progress, and in setting future goals for learning. Parents and peers may also be involved in assessment. Individual growth and strengths are emphasized, along with progress in meeting agreed-upon goals and predetermined criteria. Collaborative Learning- This is the idea that more than one person can work together to learn together. Further that participants in this kind of learning approach will overall perform better than individual performs. Gamification (Gamification) is the concept of applying game-design thinking to non-game applications to make them more fun and engaging. Children today are extremely responsive to playing electronic games. 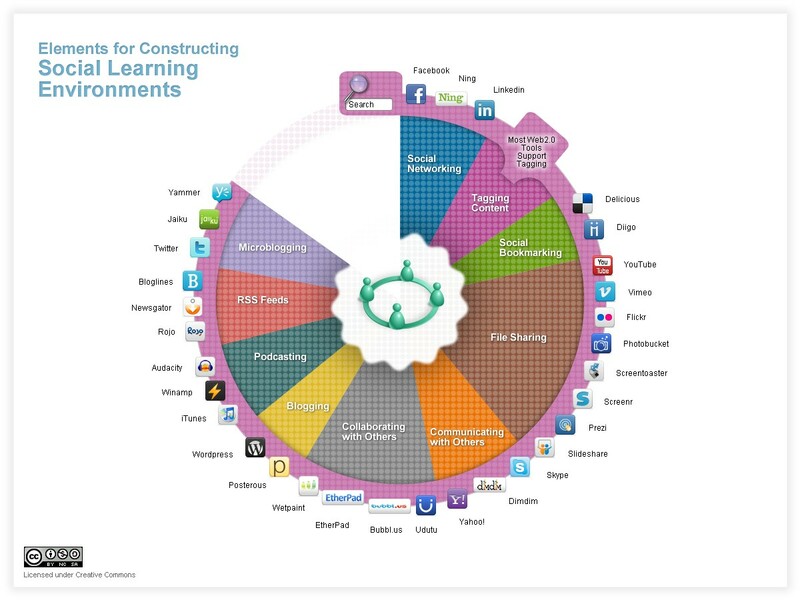 There are number opportunities for social and collaborative learning thought live virtual construction and other virtual technologies. Some examples are Minecraft, World of Warcraft and even a new site called Growtopia. Working with the Librarian teachers can leverage these technologies with students both in and out of the classroom. Additionally, children can extend their reach by employing these same technologies at home. Model Based Instruction(Simulation)– Technologies have advanced in modeling and simulation well beyond the traditional block Lego. There are Snap Circuits for children to create electronic modeling, amateur computing like the Raspberry Pi where students can create software applications, programs, games and operating environments. Librarians can use lessons learned and best practices to reproduce and construct scientific models to describe, to explain, to predict and to control physical phenomena. Community Managers and Knowledge Managers with a clear understanding of business AND employee needs as “requirements” can work alongside their peers as enablers. A clear understanding of technology and the applicability to the various approaches in context of collaboration and social learning will educate the subject matter experts and practitioners alike . As technology, process, and practice evolve facilitators can maintain their role as the implementation and facilitation specialists which create, maintain, grow and facilitate the various lessons learned, best practices and technological capabilities in order to support the shared objectives of facilitated collaborative learning and instruction for the specific purpose of enhancing business.